Dennis Doan Family: The Circus is in Town! 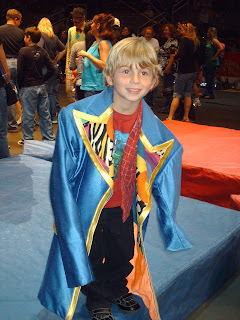 Logan went to his first big circus last night. 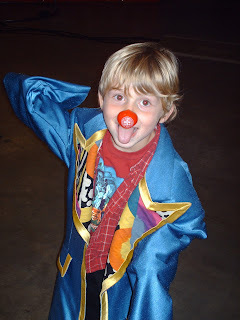 We took him to the Barnum and Bailey show in San Jose at the HP Pavilion. We kept it a surprise as an early birthday present. He was so excited, he didn't know what we were doing until we got into the arena. His pre-school had spent a week learning about the circus last month, they even put on a little show for the summer camp kids. 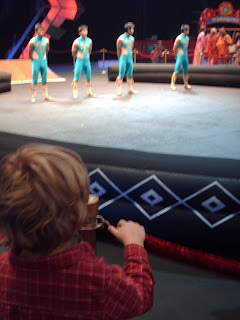 He loved seeing a real circus, I think he may run away and join even!! 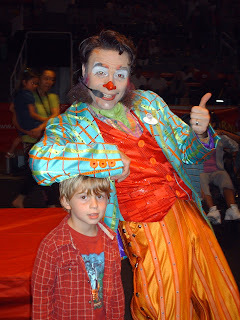 They had an open floor pre-show where you could see mini-acts up close and meet the clowns, acrobats and animals. It was so much fun. Oh man, the circus!! How fun!! I haven't been to the circus in years!! I bet he had an awesome time!! I remember wanting to run away with the circus, too!! Logan, you would make an awesome circus act!! That looks like so much fun! I wish I was there with you!